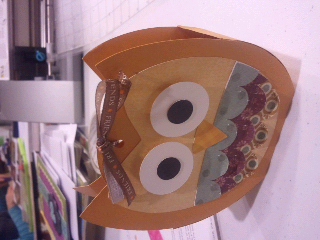 Bizzy Lizzy Creations: Whooooo loves to craft! This last weekend I was at a scrapbooking retreat up north... I was playing with my silhouette cameo, and made this darling little gift box! This was my 1st attempt at using my phone for blogger....little off don't you think?? ?